How long have you lived in Spain and how long are you planning to stay? Why did you move to Spain and what do you do? Many reasons, but largely because Europe (especially Spain) has the kind of history, culture and lifestyle that is one of the best in the world. I taught English and History at two international schools here part-time for a few years and also finished my first book, The Remade Parent. 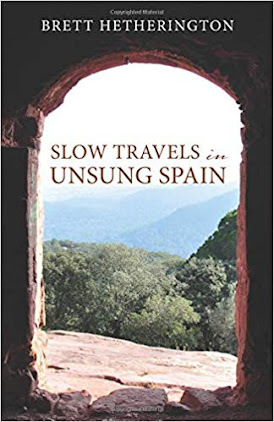 Now I'm working on a travel book about Spain while being a columnist and reviewer for Catalonia Today magazine...on top of teaching local adults English in company mainly. Yes, my wife and son have always lived with me. I couldn't have it any other way. Difficult at times. Sometimes it feels like (even after 8 years here) that the transition is still continuing but I'd lived in Japan for 3 years (and England for 2 years) before coming to Spain so it was not so hard. No, it wasn't easy and still isn't. I don't socialise much with expats either though. The food and wine is exceptional and the weather is good for most of the year so it is great for outdoor types. Apart from Barcelona, the regions are wonderful if you have the time to visit them. I think Toledo is incredible, as is Granada too, but there are real gems like Asturias or Galicia which are often neglected by visitors. What do you enjoy most about living in Spain? The sun, the seafood, the people I work with (usually!) and the family-friendly nature of public life. I love the tranquility of the little town we live in but Barcelona never fails to stimulate the senses and feed my curiosity. How does the cost of living in Spain compare to home? Home is here in Spain but compared to Australia food and drink is much cheaper though other costs are often higher. Unless you have independent wealth or are very lucky (or well-conected) you'll need some savings to live on at times. What negatives, if any, are there to living in Spain? Of course there are negatives such as cultural clashes and some people prejudging you but the positives (still) outweigh the negatives for me. If you could pick one piece of advice to anyone moving to Spain, what would it be? Experience as much of the local culture as you can...as long as it interests you. Finances and dealing with the many layers of bureaucracy when you want to do even quite basic things related to housing, business or employment. As I say, home is here, but I'm sure that there would be plenty of reverse culture shock in going back to Australia one day, even just visting there for short periods I've noticed that. Travel widely and see more than just the little area you live in. Learn to be functional in a relevant local language. Be prepared to earn less than you probably do already. Try to not rely only on expats for your social life. It's a blog on social/public issues and cultural life in Catalonia, Spain and wider Europe. I started it in 2009 and it now brings visitors from all around the world, which is great.